As a man with an Ipod and some free time on his hands, I have become a big fan of podcasts, and the king of on-line audio entertainment is Adam Carolla. Most people remember him from shows like "The Man Show," and "Loveline," but Carolla has found himself at the forefront of an emerging artform, with his podcast reaching millions daily. Apart from broadcasting five days a week, Carolla also performs live shows, has his own brand of wine (Mangria), and has written three books, each of which has become a New York Times best seller. His most recent book, "President Me," focuses on things he would change about this country in order to make it (in his eyes) a better place. 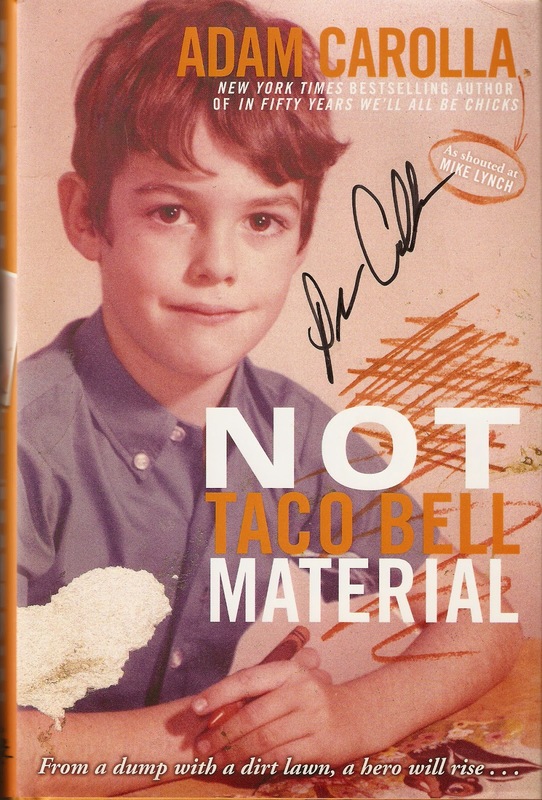 Recently, Carolla was offering a deal to his listeners, which allowed them, for just $10, to get their hands on an autographed copy of his second book, "Not Taco Bell Material," as his publisher was looking to get rid of their remaining surplus. 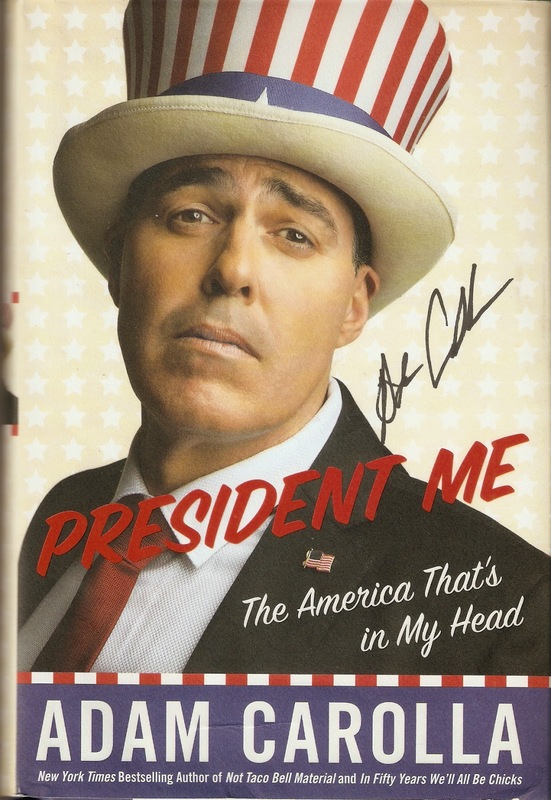 Not only would people get an autographed copy of NTBM, but he would also sign book jackets of "President Me," for anyone who sent them in, so naturally, I had to get in on that. 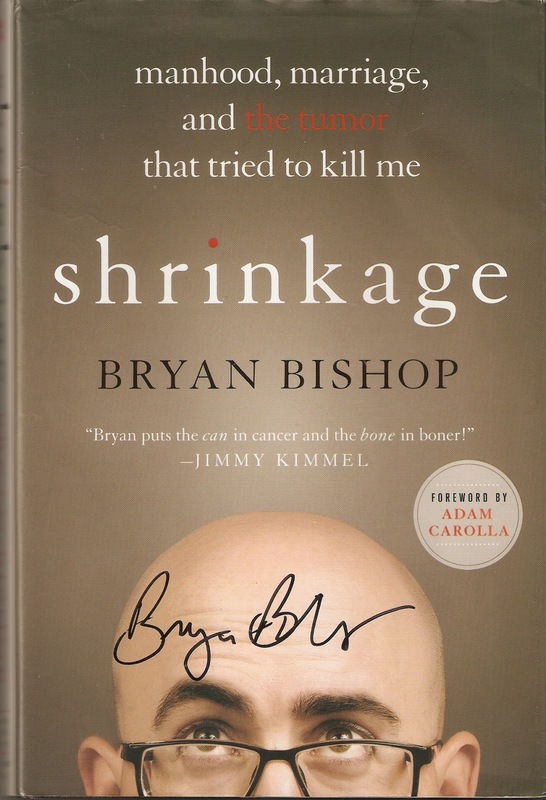 I also sent in a book jacket of "Shrinkage" by Carolla's co-host Bryan Bishop, and he was nice enough to sign that for me as well. "Shrinkage" is the story of "Bald Bryan," as he deals with battling an in-operable brain tumor, while beginning a marriage and new career, and is a humorous look at a serious subject, and as much of a Carolla fan as I am, this is the book out of the three that I would recommend above the others. I was so happy to get my hands on these items, as I have been listening to the Adam Carolla Show since its debut in 2009. Hopefully, I can make it to Minneapolis the next time they come do a live show, as they seem to make it up to the area once or twice a year.